Cedarwood and Siberian Fir is the latest addition to our beard oil range! 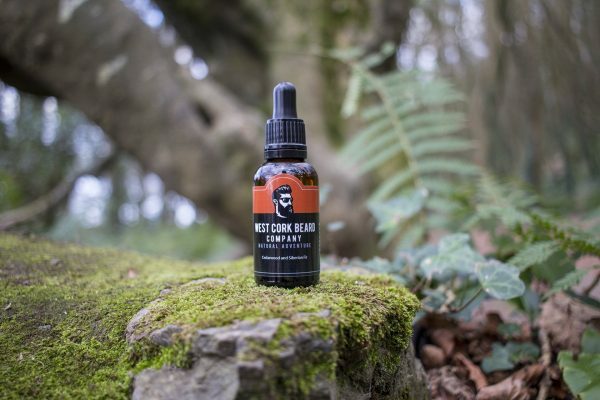 Inspired by the woods of West Cork, this masculine and woodsy beard oil stimulates, energizes and nourishes while adding the subtle scent of the forest to your beard. Argan Oil softens and moisturises and is easily absorbed into your skin and beard. Golden Jojoba Oil works to reduce dryness and irritation and its anti-bacterial properties keep your beard healthy. Cedarwood Oil has antiseptic and anti-inflammatory properties to care for your skin and beard. It helps to stimulate hair follicles and increase circulation which may lead to increased hair growth. Siberian Fir Needle Oil has anti-bacterial and astringent properties which can help a variety of skin conditions such as acne and eczema. It also has an invigorating fresh scent.